The vertically deficient posterior maxilla often requires augmentation to allow implant placement. Using live surgery and an extensive video library this course will cover osteotome techniques that offer a minimally invasive approach in moderate defects with simultaneous implant insertion. Bone manipulation can improve bone quality with condensation and modify alveolar dimensions with ridge expansion and/or sinus floor elevation. Cone Beam CT imaging is important for evaluation of alveolar dimensions and sinus anatomy for technique selection. Sinus floor elevation of 3 mm or more can be completed at single or multiple adjacent sites using several modified osteotome techniques. 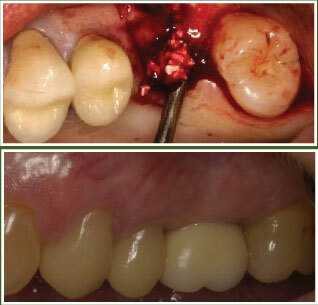 Sinus floor elevation can also be gained through an extraction site or at adjacent edentulous areas. Adequate attached tissue and preservation of the periosteal micro-vascular supply guide the selection of full and partial thickness flaps, micro-flaps and “flapless” techniques. We will discuss progressive skill development to avoid complications. This entry was posted by Dental Continuing Education on July 1, 2010 at 3:32 pm under Uncategorized. You can leave a response, or trackback from your own site. Follow any responses to this entry through the RSS 2.0 feed.